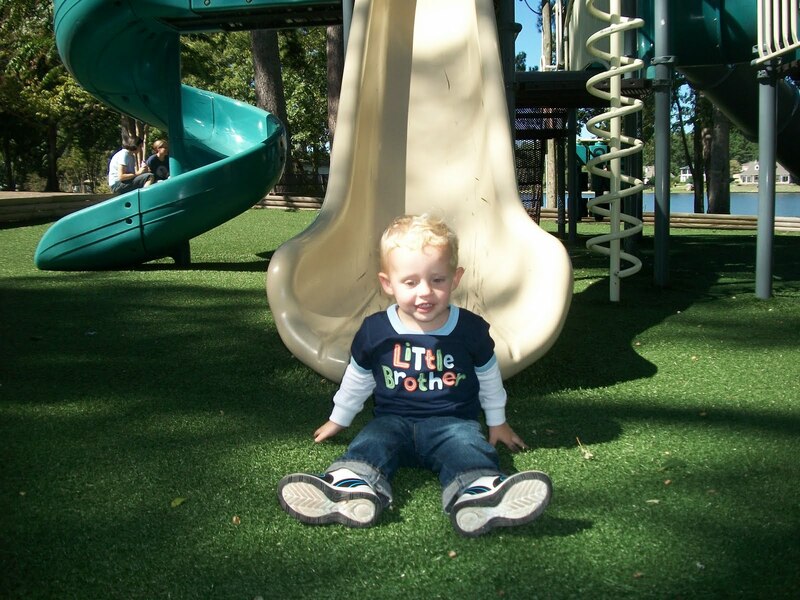 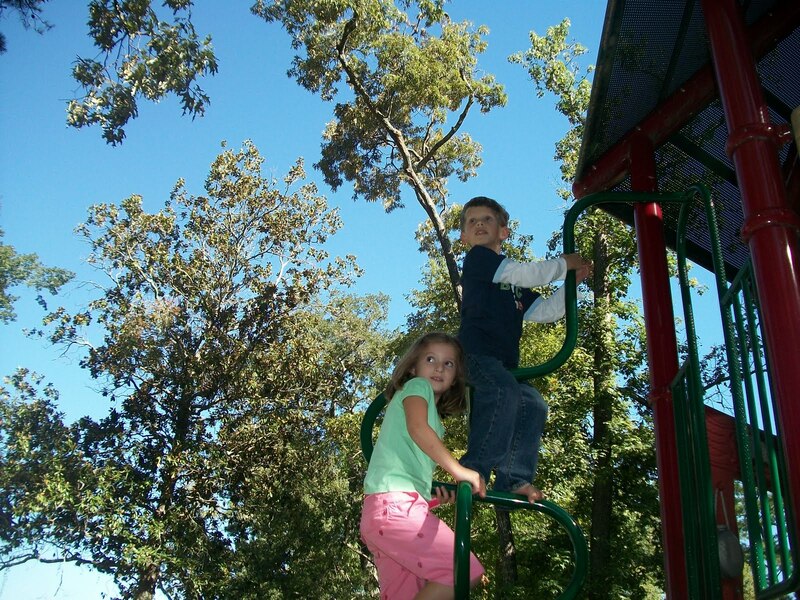 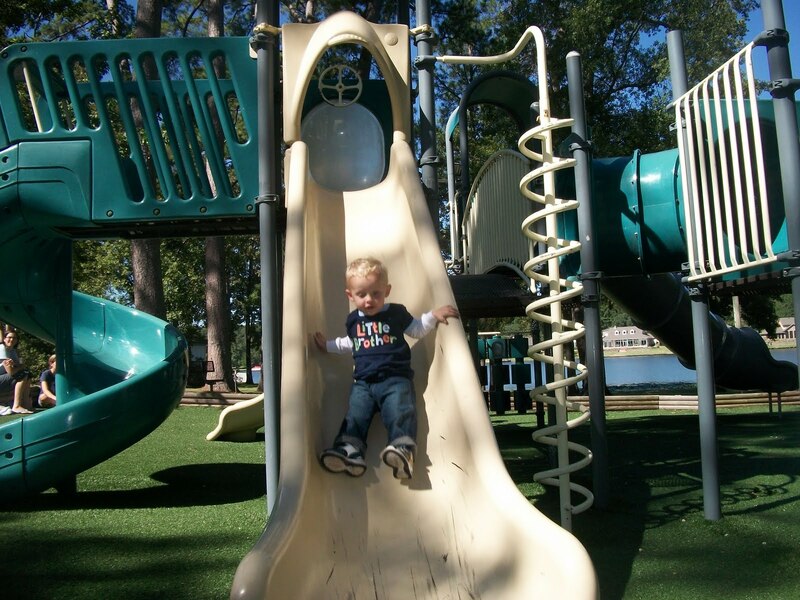 We have been spending lots of time at the park enjoying these glorious fall days. 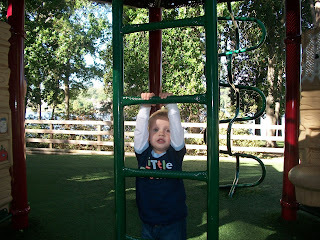 Here are a few pictures from a recent morning at the park. 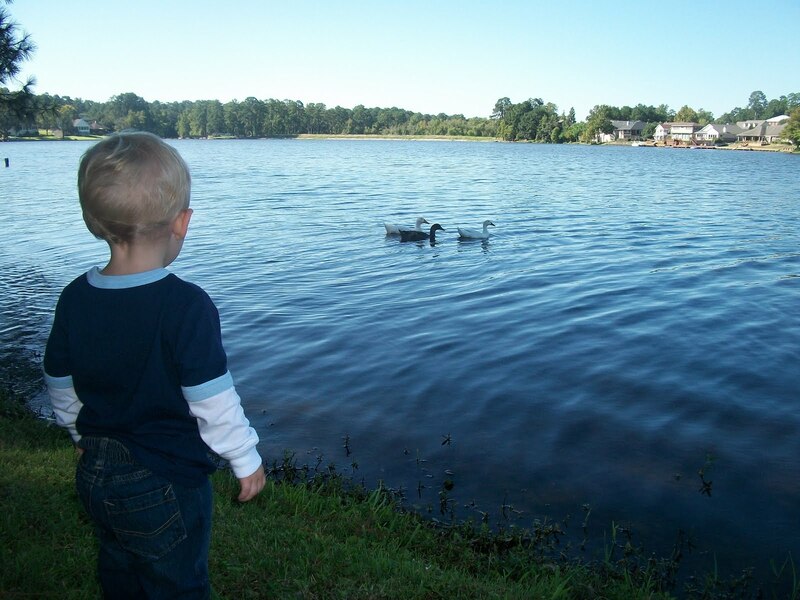 Brady watching the ducks. 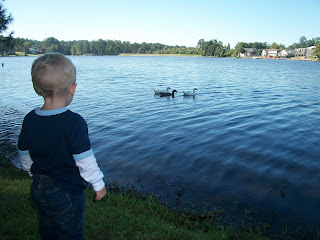 What you can't see in this picture is him quacking at the ducks - so cute!!! 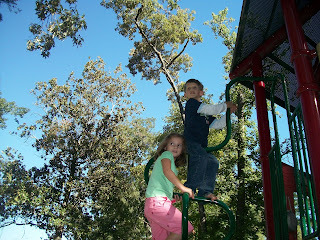 Dawson and Kaelin at the top of the ladder looking at the big lawnmower mowing the grass. 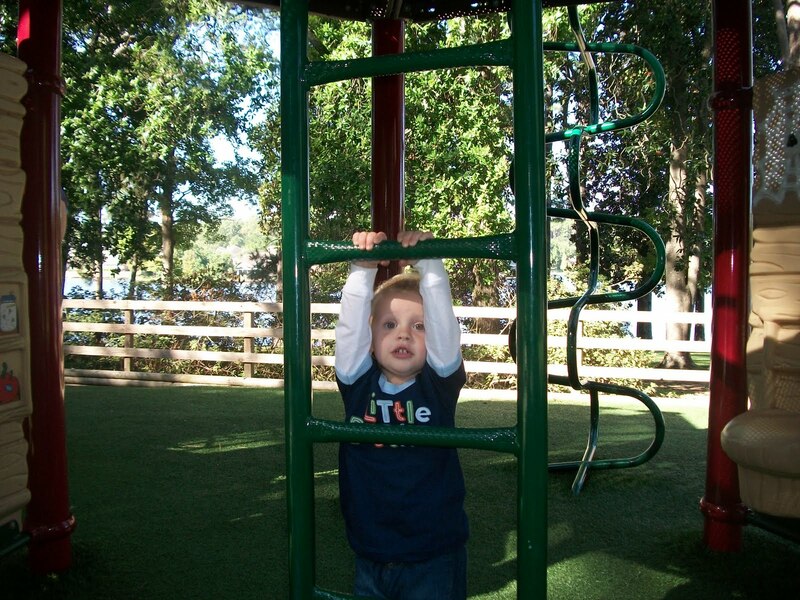 Brady hanging on the ladder. 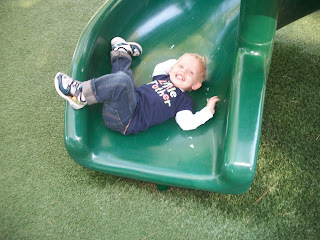 All smiles as he came down the twisty slide. Zipping down one of the steep, fast slides at the playground. 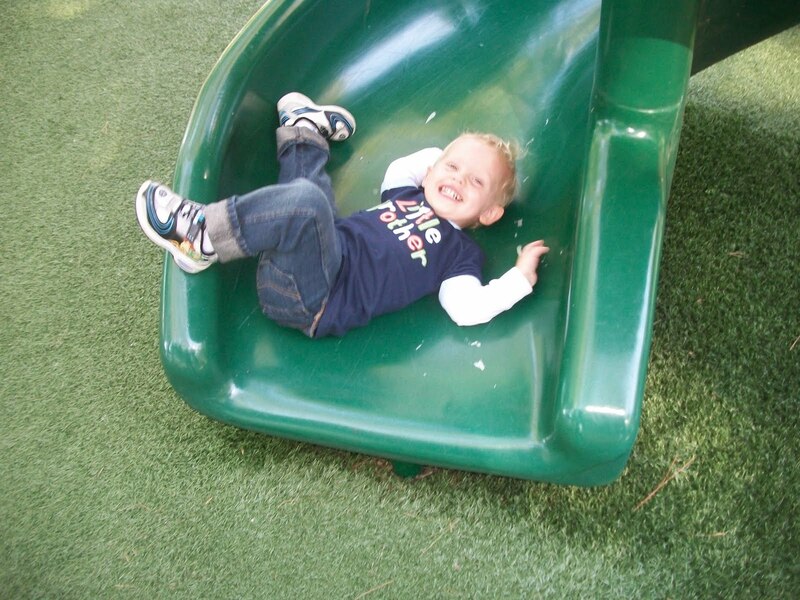 Sitting at the bottom of the slide. 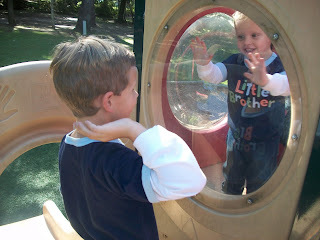 My sweet boys playing together. Brady got such a kick out of banging on the window with Dawson. 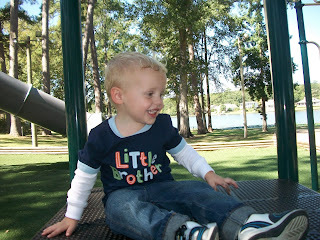 Such a sweet, cute, happy boy.